Renting in the UK usually means paying a deposit. This is a standard requirement so don’t be surprised if you’re asked to pay a deposit at the same time as you sign your tenancy agreement. Whether you’re renting in an HMO with your own individual tenancy agreement or as part of a joint agreement with the other tenants, the requirement for a deposit – and the amount – will be the same. Most deposits usually amount to between one months and six weeks rent (note: this is not the holding deposit that you may be asked to pay to get an agent to stop advertising the property to other potential tenants). You should pay the deposit at the same time as you get the keys and not before. Why do we pay a deposit? Your deposit is to cover any damage you cause and any rent that you don’t pay. Many landlords will try to convince you that they can use your deposit to pay for a spot of redecoration or some new curtains but that’s not the case. Essentially the deposit reimburses them for loss i.e. you have caused loss by your actions and so the landlord is entitled to compensate themselves from your deposit (if you agree). Typical damage would be a cigarette burn in the carpet, breaking a mirror that belongs to the landlord, making a hole in a door or wall, not returning your keys. The deposit isn’t designed to cover wear and tear. 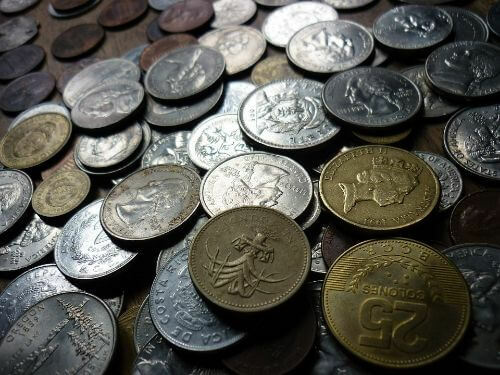 This is a concept that many agents and landlords tend to ignore when it comes to deposits, as anything that falls within the definition of wear and tear means they can’t claim for it from your deposit money. Wear and tear applies to problems that may arise as a result of proper use over time. For example, light scratching to a worktop, carpets worn away by tread or threadbare furniture. What is wear and tear will also depend in part on how long a tenant has been living in a property – the longer a tenant has been there the more likely there will be wear and tear to take into account. 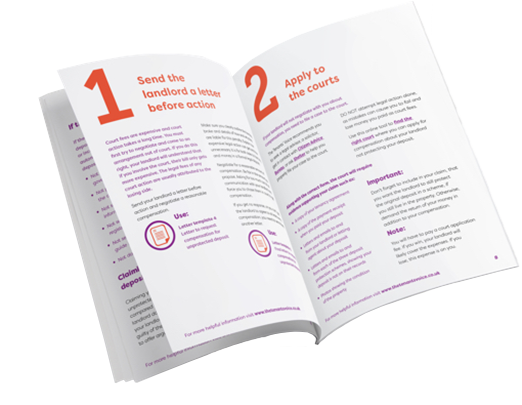 It’s a legal requirement for the landlord to protect your deposit if you are living in an HMO with an assured shorthold tenancy. If you are a lodger or a licensee then there isn’t usually a requirement to protect the deposit. When you pay your deposit, the landlord then has 30 days to protect it and to notify you of the deposit protection scheme that holds the deposit (this notification is called the Prescribed Information). You should not need to pay a fee and it is up to the landlord to protect a deposit, not a tenant. There are three approved schemes in England (the Deposit Protection Service (DPS), My Deposits and Tenancy Deposit Scheme (TDS) and your deposit should be protected with one of them. The landlord may physically transfer the deposit amount to the scheme or may sign up with a scheme that requires the landlord to provide proof of insurance to cover your deposit in the event that it is lost or spent. You should be able to locate your deposit by searching the database of the scheme where it has been registered. It’s a legal requirement for a landlord to protect a deposit. If it is not protected within 30 days then tenants can make a claim to compel a landlord to protect the deposit, to return the deposit and to seek compensation of 1-3 times the amount. This applies even if the deposit is protected 31 days later. If a deposit hasn’t been protected then a landlord won’t be able to use the section 21 notice procedure to remove a tenant. One of the great advantages of deposit protection schemes is that they provide a forum in which tenants can challenge deductions that landlords want to make from deposits at the end of a tenancy. Sometimes, landlords and agents will tell tenants that there is no right to protest against a deduction but this is not the case – you can raise a dispute with the deposit protection scheme that is holding your deposit, as long as you do so within the time limit (normally three months). The landlord will then be required to prove a right to make the deductions they want to make – for example, they will need to be able to show that damage was caused by a specific tenant and was not there when they moved in.